This is a super High Speed Hand Dryer,100m/s,dry hands fast. It has double 12cm wide air outlets,you can put your hand and arm under it,very suit for doctors in hospitals. It dry hands with 7-12 seconds, you don't have to wait long,it reduces paper using,more energy saving.The PTC heater makes hand drying more safe and efficient. 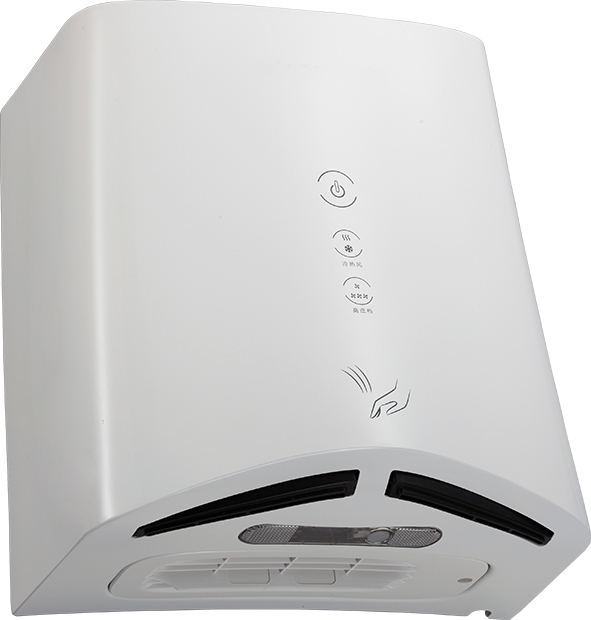 The HEPA system filter more fresh air for users.This is a GS certified Eco-friendly, hygienic Automatic Hand Dryer,wall mounted design,suits for any toilet,washroom,restroom,home or commercial applications.The stainless steel construction,makes it durable and luxury. Looking for ideal Certified Hand Dryer Manufacturer & supplier ? We have a wide selection at great prices to help you get creative. All the Gs Hand Dryer are quality guaranteed. We are China Origin Factory of HEPA High Speed Hand Dryer. If you have any question, please feel free to contact us.